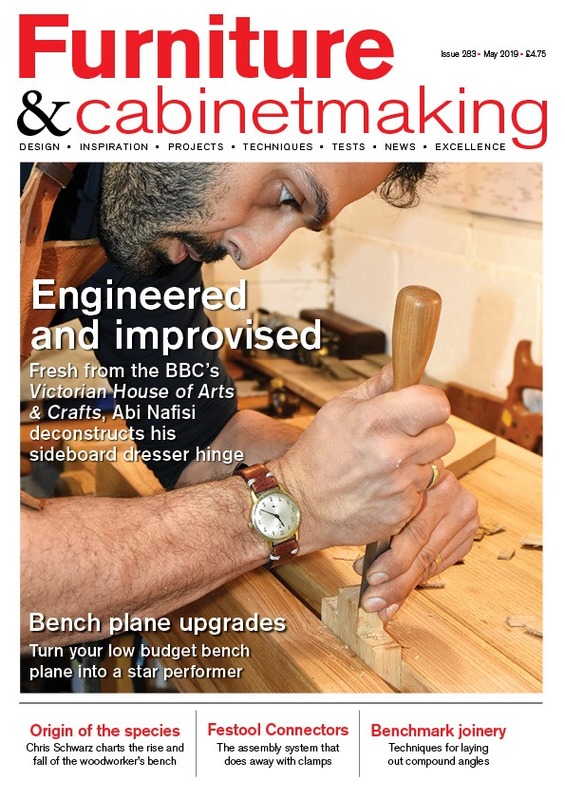 In issue 283 of Furniture & Cabinetmaking we have lots for you to enjoy. 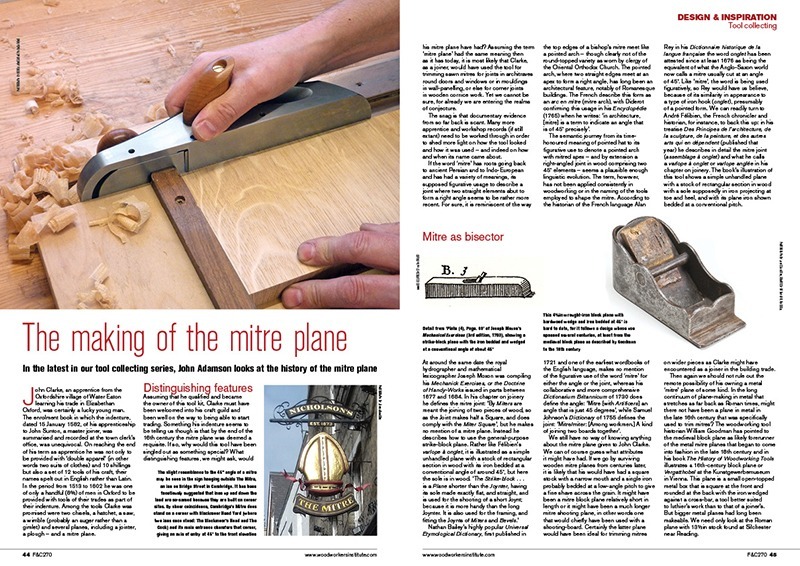 In our Projects & Techniques section, St.John Starkie makes a splay-legged Chinese bench; star of the BBC’s The Victorian House of Arts & Crafts Abdollah Nafisi tells us how he made the hinges on his sideboard dresser; Derek Jones tests Festool’s new range of connectors; and Hendrik Varju reviews the GuidePRO Bandsaw Guide from Bow Products. In Design & Inspiration we have an extract from Christopher Schwarz’s new book Ingenious Mechanicks; we take a closer look at the oak furniture sold at Bonhams’ Olive Collection auction; John Adamson reports from the latest David Stanley sale of antique tools; Out & About goes on a unique tour of the Dennis Severs’ House; and we re-visit John Bailey’s display cabinet in An Airbrush with the Past. As well as all this, we also have the latest News & Events; a guide to the best vices on the market; and a social media round-up. 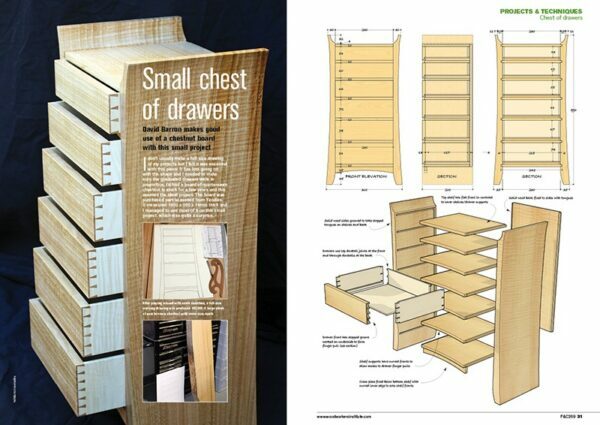 All this and more in issue 283 of Furniture & Cabinetmaking!